The Roadkill Show airs on Motor Trend’s YouTube channel (Motor Trend Channel) and is hosted by David Freiburger and Mike Finnegan, Editor-in-Chief and Staff Editor respectively of Hot Rod Magazine. 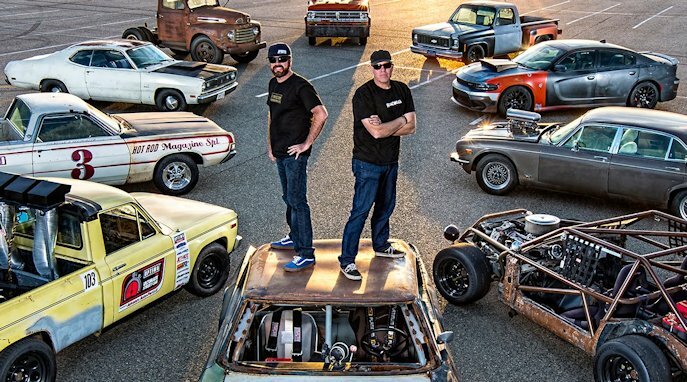 Ride along with Freiburger and Finnegan as they continue their love/hate relationship with hot rods, street machines and other highly strung performance vehicles — In Roadkill, Freiburger and Finnegan hit the road in everything from a 1968 Ford Ranchero to a 1500 horsepower Camaro called the F-Bomb. Just getting to their destination is an adventure.